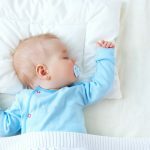 Parents, especially first-time parents, are not always prepared for the amount of crying they encounter the first few months. Every mom is going to have days when nothing she does will console her crying baby, and this is NORMAL. It has nothing to do with being a “good” or “bad” mom, let’s clear that myth up right away. Babies cry, and some more than others. If your baby got a clean bill of health from your doctor, LOTS of crying is perfectly normal. You may feel like you’re losing it, but your baby is probably just fine. One thing we want to note is that the cry of a sick baby sounds a little different from a cry of frustration, wet diapers, or hunger. Additional signs that crying may be due to a physical ailment is if your baby displays other symptoms; like vomiting or weight loss, or if they cry constantly. Normal crying patterns tend to peak at the end of the day. So if your baby’s cry sounds “off” to you, it’s constant, or you notice other symptoms, trust your mother’s instincts and give your doctor a call. Here’s everything you need to know about your baby’s cries. Generally a baby’s crying follows a development pattern known as the “crying curve”. Crying will increase at 2-3 weeks of age, peak at around 6-8 weeks, and then slow down again…hitting its new low around the 4 month mark. Babies also tend cry more in the late afternoon and early evening time. Some babies have colic, which is basically uncontrolled crying in an otherwise healthy baby. Is your baby colicky? 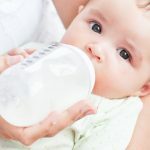 Follow the rule of threes…If your baby cries for more than 3 hours at a time, more than 3 days a week, for at least 3 weeks (and they are under 5 months old) they probably have colic. Normal crying and colic have the same pattern, the difference is just one of degree. Colicky babies cry at the same frequency (and peak in the afternoon/evening), but each crying episode is longer and more intense. 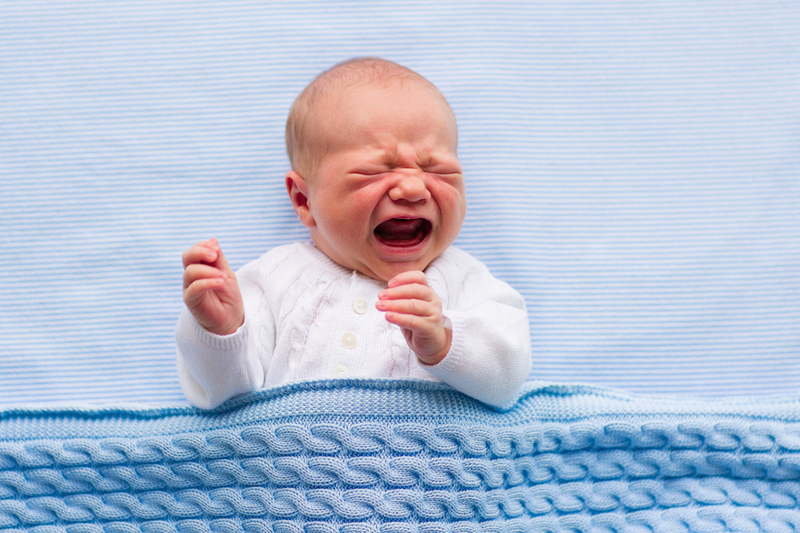 Colic isn’t an illness, and it doesn’t cause long-term harm to your baby. But it can frazzle the nerves of any parent! The good news? It’s temporary. Colic runs it’s course after the first few months. You’ll want to check out Beenke’s tips and tricks for soothing a colicky baby or try an herbal remedy like Mommy’s Bliss Gripe Water. It’s important for new parents, particularly if they have a colicky baby, to have lots of empathy and support, along with occasional breaks from childcare. Ask for help if you need it. Whatever you do….do NOT express your frustrations by shaking your baby! Shaken baby syndrome (caused by shaking or throwing a baby against an object) can cause brain damage or even death. It is never okay to shake a young child. SHARE Is my baby crying to much with other new parents on Facebook and Pinterest by clicking the buttons below.